Imagine it is August 28th 1963 and you have traveled to Washington DC to hear Martin Luther King Speak. He’s 30 minutes into his presentation and he says, ‘now as you can see on section C of slide 37….’ It just wouldn’t be the same. This is because slides ruin good speeches. 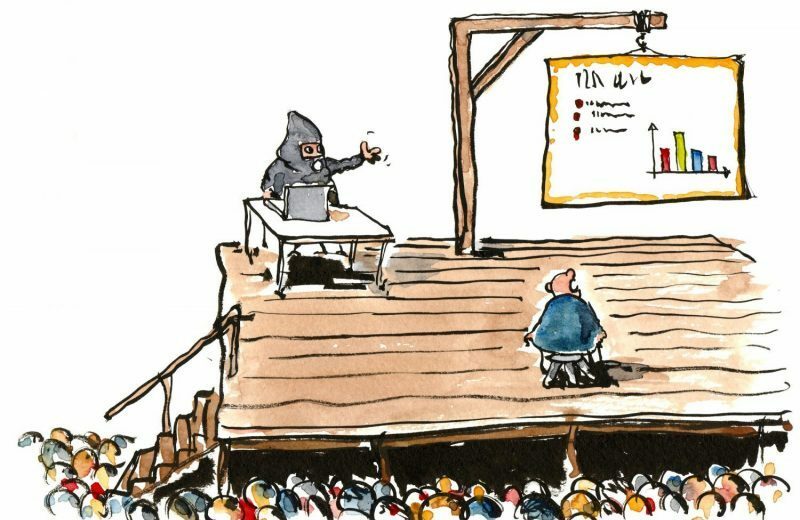 In fact, countless good speeches have been butchered by the pestilence known as PowerPoint. I’ve sat through many ‘talks’ in which the speaker at some stage or other started reading the illegibly small text from slide 42 with their back facing an unenthused audience who can barely conceal their boredom. Ironically, in most cases, PowerPoint is neither powerful nor to the point. A speech is an opportunity to really engage with an audience. When you have a good speaker you often find that the audience is in a captivated trance. This is the magical trance that is so often lost when you introduce PowerPoint. You are allowing the audience’s mind to drift into reading text, studying charts and getting distracted whilst you’re still mid-speech. Throughout a speech the audience’s attention should be on you. When you introduce a PowerPoint you are asking your audience to chop and change between focusing on you and focusing on slides. As the speaker you should be the center of attention, all eyes (and ears) should be on you, not floating around elsewhere. You should be hogging the limelight, not redirecting it. Eye contact is immeasurably important in engaging your audience, and you lose a lot of prime eye contact time when your audience is staring at your slides. As well as this, as speakers, we are sometimes tempted to look at our own slides because they make us feel safer or we want to point at something with our cool laser pen! Slides comfort us because, as with notes, they remind us of our structure. The problem is that they also allow us to avoid looking at our terrifyingly scary audience. Another problem is that the moment you put on a new slide the audience immediately start studying it. The audience, like most people, can’t multitask. They can’t listen to what you’re saying, understand what you’re trying to say and study a slide at the same time. If you want to be heard and you want to be understood, you are better off communicating your ideas without slides (and just to be clear, it doesn’t matter if your speech is about business, technology or finance it will most likely have more impact without slides). So we tend to know that slides are bad, so why do people use them? In most cases, because they don’t know what else to do or they don’t take their speaking opportunity very seriously. They don’t know how to construct an engaging captivating speech with a clear message, so they smudge their way through their allotted timeslot by showing their audience slides with pretty charts and quotes. Let’s face it, without our slides we feel naked and exposed. In some cases speakers use slides because they don’t actually know how to communicate what they are trying to say using words – I appreciate it can be difficult! In some cases (very few), charts are helpful but in most cases they are a complete waste of time that hamper your efforts of being heard. Let’s stick to what we know; we know that stories stick! Stories are much more memorable than statistics. Chip and Dan Heath’s book Made to Stick explains just that. Whatever your speech is about, it should be focused on a story. Whether that’s the story of your company, its founder, the new technology you’re developing, whatever it is, you should use a story to communicate your message. It doesn’t matter what your subject is there is always a story that you can use. I don’t want you to think that PowerPoint is all bad because it does have its uses. For example, when I am delivering a training workshop or indeed a presentation that lasts longer than a speech I will sometimes choose to use PowerPoint slides. When you have a small group PowerPoint can be interactive. The slides can allow you to ask your audience questions and they can also reinforce structure; which is useful if you’re delivering a 7-hour training workshop. So yes, on some occasions PowerPoint can be useful, but in most cases it is completely unnecessary and often counterproductive. When you next find yourself sat in front of a PowerPoint presentation which you are going to deliver ask yourself, ‘What do these slides add? Do I need them? Should they go?’. In most cases you will find the answers to be: nothing, no, and yes!